President Russell Begaye has extended his solidarity to two Native students targeted in an alleged “cultural assault” during an Oct. 31 incident at Cibola High School. During a New Mexico Indian Education Advisory Council meeting on Monday, President Begaye met with the parents of a Navajo teen who was thrust into the spotlight after her English teacher orchestrated a Halloween stunt. The teacher, dressed like a voodoo witch, called the teen a “bloody Indian,” and used scissors to cut another Native student’s braid. Two days after the incident, Albuquerque Public Schools (APS) confirmed that a “highly regarded” teacher allegedly made a “culturally insensitive remark” to one student and cut another student’s hair. The teacher, who is not being named, was placed on paid administrative leave while the district’s police department investigated. APS declined any further comment. During an informal meeting with President Begaye on Monday, the Navajo teen’s parents said the incident traumatized the whole family. The teacher failed to understand how an insensitive comment could spark intergenerational trauma, they said. The parents also pointed to an apparent lack of action from the principal or superintendent. 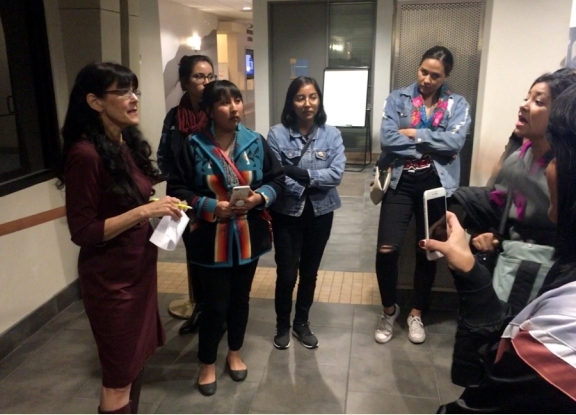 While the teacher remains on paid administrative leave, a growing group of Native parents is demanding that the district implement immediate and mandatory cultural sensitivity training. 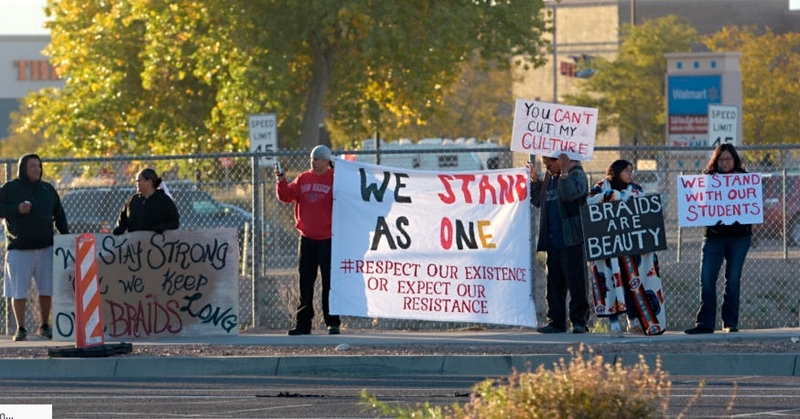 In his official remarks to New Mexico Public Education Secretary Christopher Ruszkowski on Monday morning, President Begaye demanded that the state address the incident. Although outgoing Gov. Susana Martinez and her cabinet have only five more weeks in office, they can take action at Cibola High School now, President Begaye said. Responses to "School Apologizes For Teacher Who Allegedly Cut Native Child's Hair"